Is your Saltillo stained with a build-up of old, yellowed topical treatments? Has it lost its bright, like-new appearance? Imagine it revitalized to its original, beautiful state. Set in Stone Restoration can restore any Saltillo surface that has become stained, chipped or otherwise damaged. 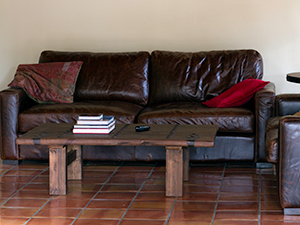 Saltillo tile is delicate and can be difficult to clean. Our highly qualified professional technicians can perform these services for you. For additional information about our Saltillo restoration, cleaning, sealing and repair services throughout the Bakersfield, CA area contact us online or call (661) 833-1168 today.